Resort Vacation, Please! Magnolias and Sunlight: Resort Vacation, Please! Hey guys! Look what came in the mail! 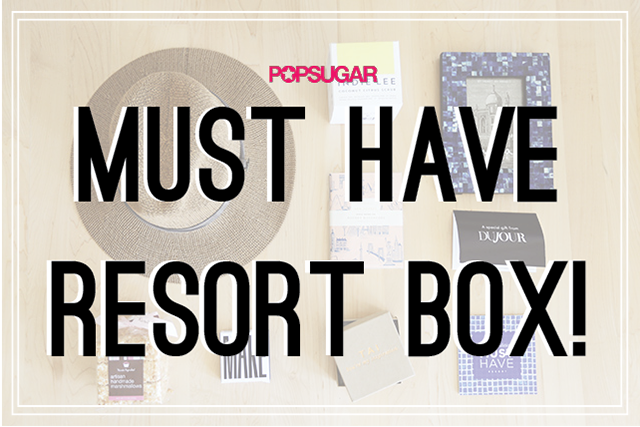 This is one of PopSugar's Special Edition boxes and while normally I would make an unboxing video, I just posted the March box and thought two in a row might be a little overkill. So I opened it up, admired all the new treasures that came inside and then laid them out to share with you! 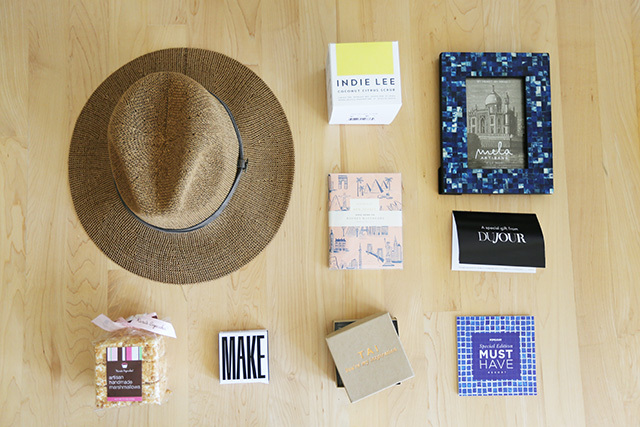 I must say that this box wasn't as Resort-y as some of them have been, but the hat and the body scrub have me dreaming of tropical locations. I never thought I could wear hats, but then I bought one in London last spring and quickly changed my mind! 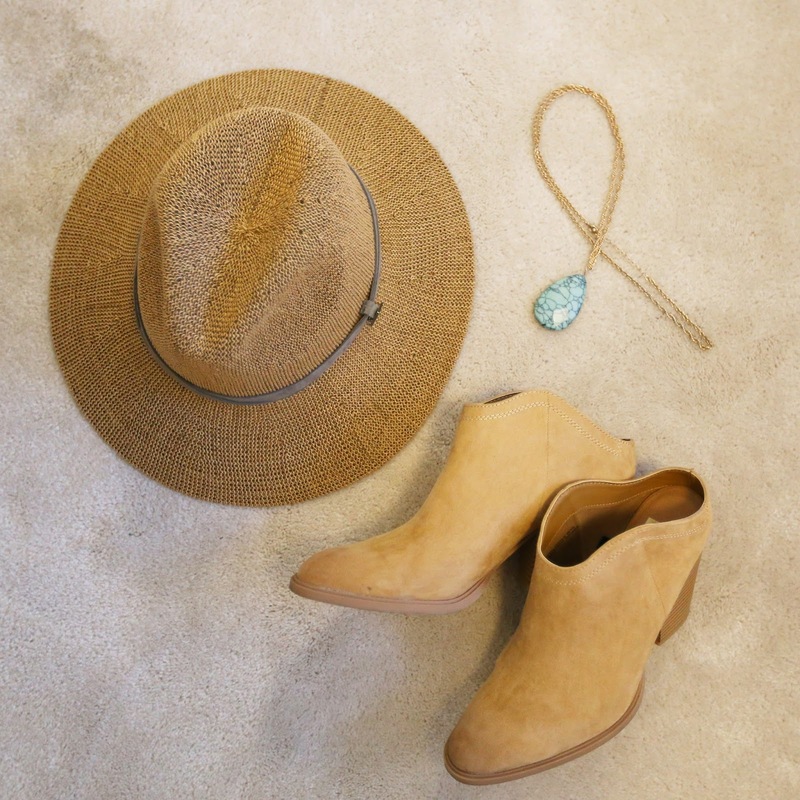 Since then, I've loved the look of a good hat and I can't wait to wear this one to the beach and maybe with a few outfits that have a more boho-vibe. I couldn't find the exact hat on the company's website, but they have a ton of options for straw hats and panama hats! 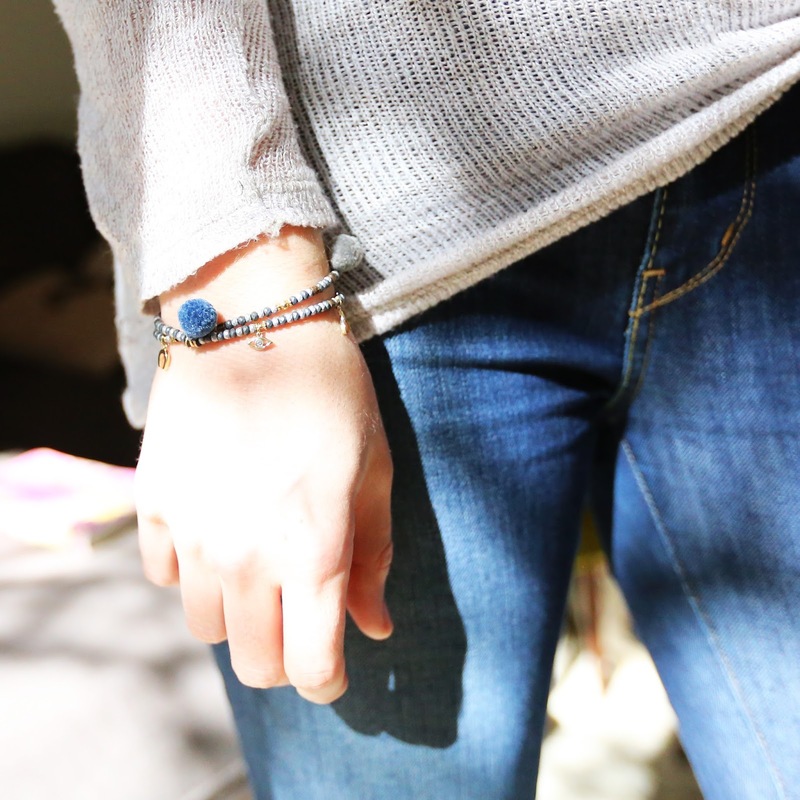 This little bracelet (similar style) is so cute and is adjustable so it fits! I have small wrists and some of my favorite bracelets (ahhemm.... Kate Spade Bangles) are just too big! I love the pom poms and the blue tones and all the lucky charms! There's a wish bone, a horseshoe and an evil eye (which sounds ominous, but actually is meant to ward off harm). I think this is a great piece to throw on with laid back looks and it's perfect for summer and vacations! I've always been a fan of Rifle Paper Co. Their products are so cute and I have to keep myself from buying all their notebooks. I girl only needs so many paper products. So I'm super happy these pocket notebooks came in the box because I get to indulge without feeling guilty! I'm obsessed with the pink notebook! The illustrations are so cute! 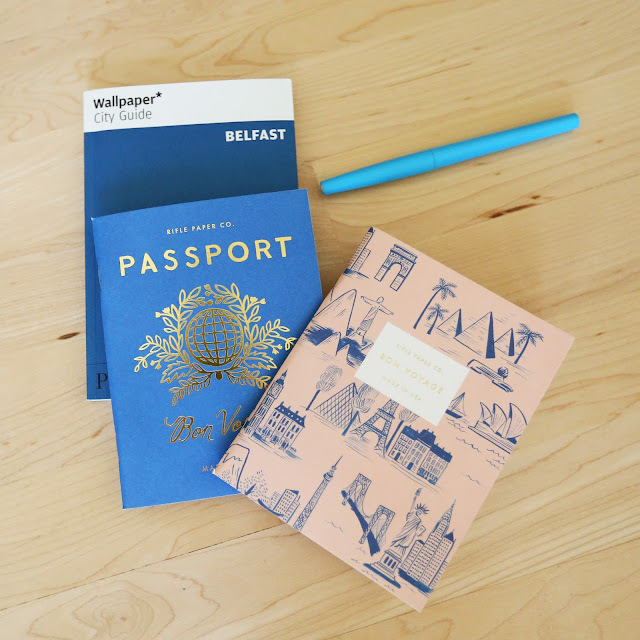 I also really like the passport one and I think I'll use it to plan all of my upcoming summer trips! I love to make list of what to pack and places that I want to visit. Does anyone else skip straight to the second page in notebooks? I always leave the first page blank! Ever wondered what summer smells like. 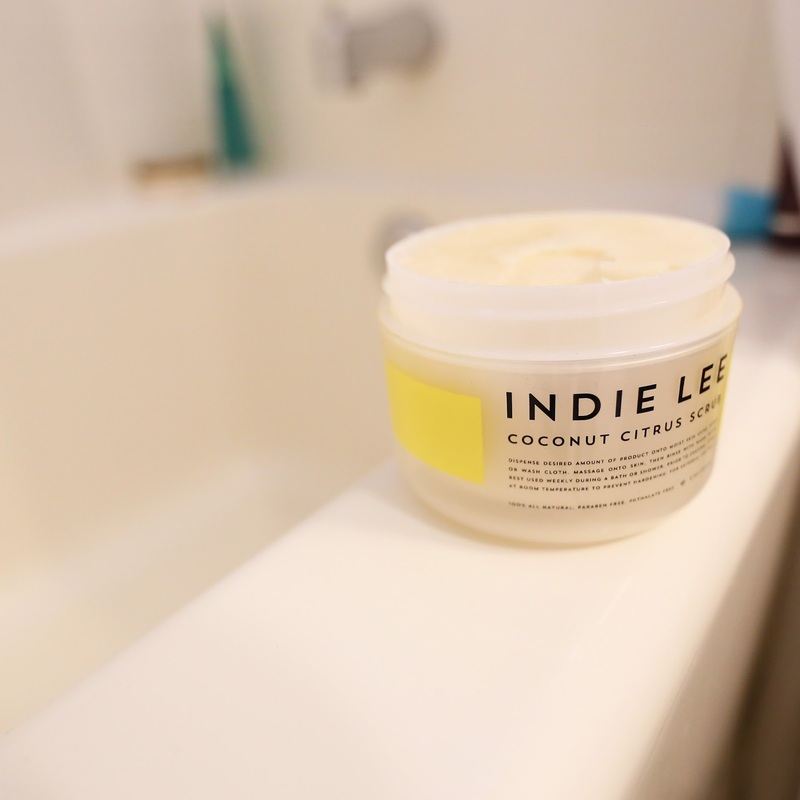 Well, I figured it out when I opened this Coconut Citrus Scrub! Exfoliating is so important especially in the summer when your legs are on display so much! I know the last thing I want is to have dull skin in my cute summer dresses and skirts. Plus, it's a must if you're getting a spray tan or using self tanners. I can't wait to use this over the weekend before I head to the pool! With this and a bit of coconut oil, I'll be able to pretend I'm sunkissed! I'm a magazine junkie and will never turn down a free subscription. 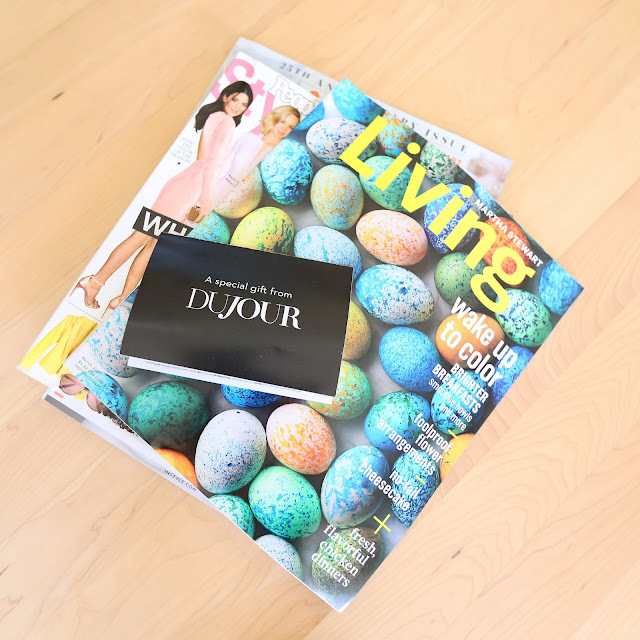 I'd never heard of DuJour, but after some research I found out that it's a luxury magazine out of New York. They cover fashion, beauty and lifestyle, so basically like my blog, but with a much larger budget and access to some of the top designers and hottest places in the city. It's a quarterly publication and I can't wait to get mine in the mail. You can get a free subscription here, too! 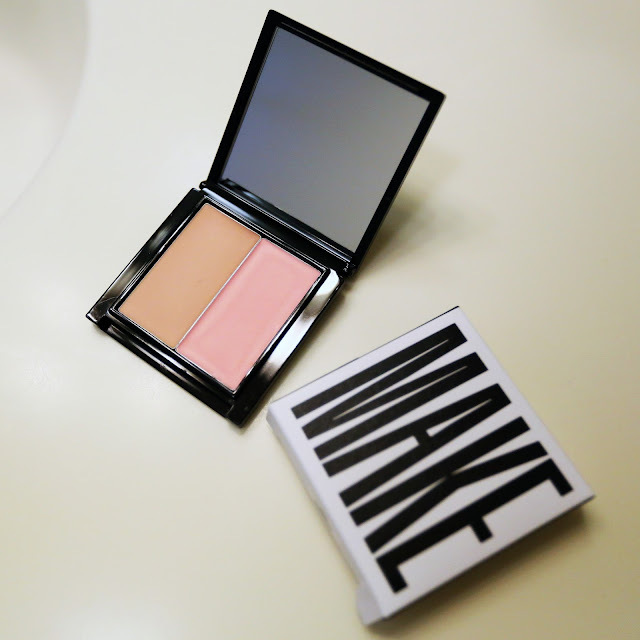 I am not sure how I feel about this Make Finish Effects Matte Dew palette, but I am definitely going to give it a chance. The directions say to use your fingers to apply the product, but I hate getting makeup on my hands, so that's why I'm a little hesitant. I'm excited for the mattifying effects and I love the colors so I have my fingers crossed that it's good enough to overlook the finger-thing! I'll definitely let you all know how I feel about this product after I've used it for a bit. Has anyone used it before? I'd love to hear what you thought! I love this frame! I'm going to wait until I get a new beach picture this summer to fill it! I could print off an old photo, but I'm weird and will probably plan the perfect picture, stage a photoshoot on the beach and then print one off. Yay, for type-A personalities! I'm working on redoing one of the rooms in my house and turning it into an office. 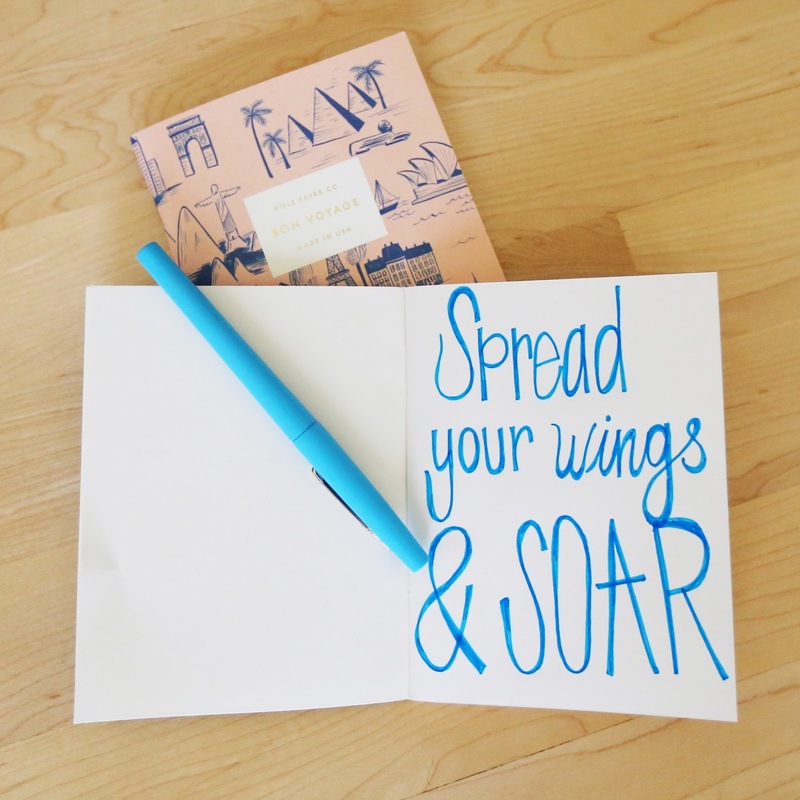 I really want a space that I can blog in and be creative! So this frame will probably find a home in there once it's done! Kara's Cupcakes is one of my favorite places to go on the weekends. I don't go often because if I ate cupcakes as much as I'd like I couldn't fit into my jeans, but they're great. I go to the Oxbow location in Napa, so if you're ever visiting I reccommend giving it a try. 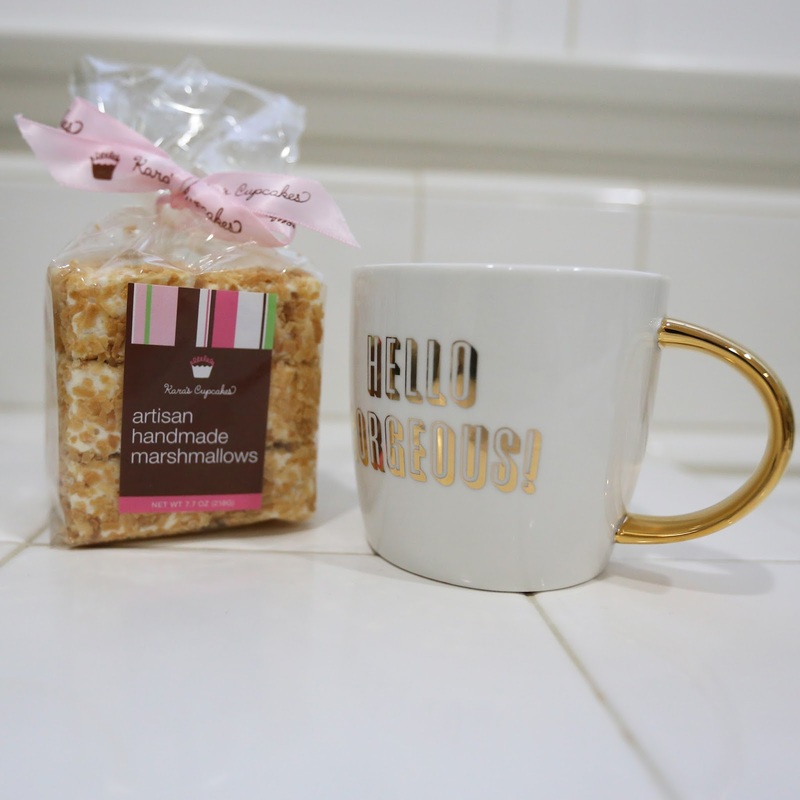 These marshmallows are so tasty! I nibbled on one this morning and the coconut flavor is delicious. I drink vanilla espresso and it was a pretty great pairing! They're super sweet though so eat them sparingly. I split mine with my boyfriend because I wasn't feeling an early morning sugar coma. Who's ready for the weekend!?! Check my Instagram because my new straw hat will definitely be making a poolside appearance!